There is a sequence in Wes Craven’s Scream where local horror buff Randy Meeks (Jamie Kennedy) takes centre stage before a group of apparently in-the-know teenagers and explains to them the various rules of scary movie survival. “There are certain rules that one must abide by in order to successfully survive a horror movie,” he exclaims with hilarious passion. Be a virgin. Don’t announce your imminent return. And damn it, everyone is a suspect! Taking inspiration from the lovely people over at Man Crates, I reckon it’s time we shifted our collective focus away from the reactive and towards the proactive. Let’s stop worrying about who the killer is and start worrying about how to conquer said killer. A zombie apocalypse? Forget wearily looking around for fresh water, we ought to start stocking up on the good stuff now. Below is a list of must-have possessions, things everybody should own in the event of a horrifying disaster. 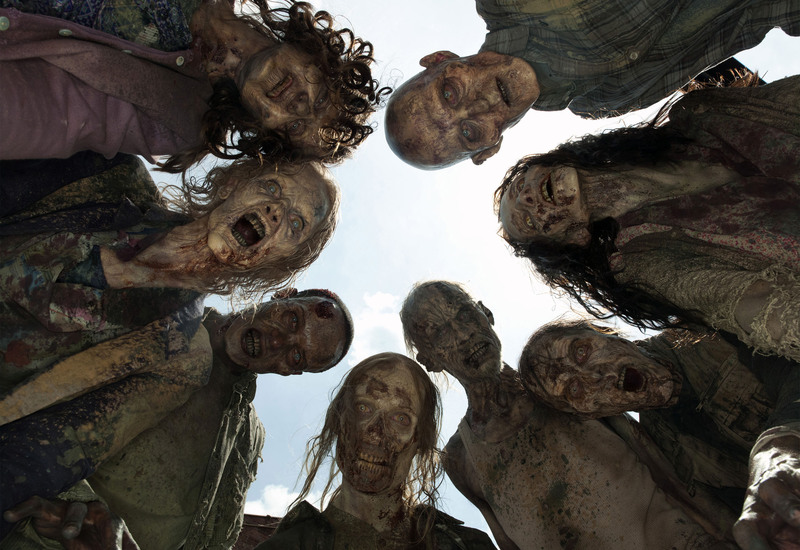 Let’s not kid ourselves, in a few years The Walking Dead will probably be eligible to win Best Documentary Series at the Emmys. You check out Man Crates’ numerous crate combos here — my personal favourite is the Retro Gamer edition. The crates are primarily aimed at guys (we’re notoriously indecisive when it comes to gift wish lists) though I reckon many women out there would be interested too. Crowbars at the ready. Given I’ve already mentioned it, this one shouldn’t come as much of a surprise. Apparently us humans can only go around three days without water — unless you’re Frodo Baggins who, along with his mate Sam, went something like a week without H2O replenishment. Hoarding water is just common sense. You might even be able to recycle it too, though I’m certainly no expert. A weapon is essential, and you wouldn’t want to be lugging around a chainsaw all day and night. A gun would be excellent for a while but you would be snookered when the ammo runs out. I always fancied myself as a bit of an archer — on Skyrim, anyway — but arrows numbers would eventually diminish too. I reckon you’d want something long in length to avoid any close combat, and a Katana blade perfectly fits that bill. 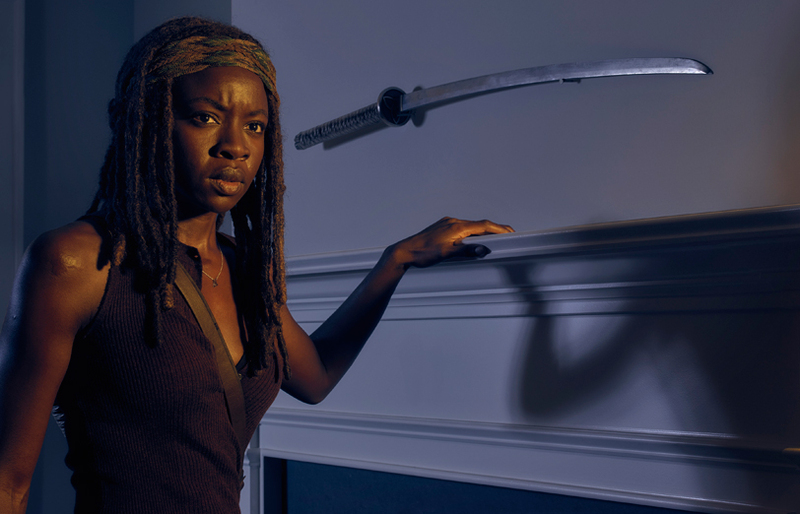 Perhaps it’d be best just to hire Michonne as your personal bodyguard. You’d need something that would help pass the time in between any monster-evading exploits, and since technology requires power (which, presumably, would be difficult to garner in a world ravaged by villainous creatures), I reckon the old notepad and pen combo would do the trick. Us film fanatics could write. Arty folk could draw. Gamers could play noughts and crosses. Endless fun. I know I said earlier technology would be a moot possession in an apocalyptic landscape, but who am I kidding? It’s 2015. Us Millennial lot can hardly survive a day wrapped up in bed without the wonders of Netflix. Chances are the big baddie at large — be it the Xenomorph from Alien, Leatherface from The Texas Chain Saw Massacre, or Ghostface him/herself — would end up addicted to Orange is the New Black anyway. He is basically humanity’s version of a pocketknife. Bear can hunt for food, he can seek out accessible shelter, create fire without equipment, built rafts to cross rivers etc. Even the world’s most powerful man, Barack Obama, trusts him (though according to the President, Bear’s culinary skills leave something to be desired). And besides, if you can’t survive a real life horror movie with a guy called “Bear” by your side, your survival chances were probably null upon arrival. This isn’t cheating, is it? You could sit peacefully, sword in tow, guzzling water, jotting down notes in between episodes of Twin Peaks, Bear Grylls camped by your side, and remain hidden from the atrocities of reality. I suppose if we are venturing down the magical route, Hermione’s Time-Turner would be a better option. There you have it. Some words of advice, free of charge. What more can you ask? If you have anything to add, feel free to do so in the comments section below.